Robert (“Bob”) Keebler is one of the nation’s leading CPAs and tax experts, providing estate planners all across the country with the latest updates in estate, gift, and income tax planning, plus retirement distribution planning, family wealth transfer and preservation planning, charitable giving, and estate administration. Bob is a partner with Keebler & Associates, LLP, which is based out of Green Bay, Wisconsin. 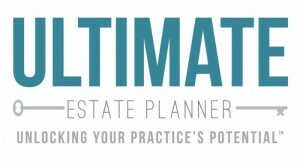 The Ultimate Estate Planner is pleased to work closely with Bob to bring estate planners some of the most up-to-date breaking news and planning strategies for clients. Bob Keebler and several of his associates are regular speakers and contributors on our educational teleconferences and have a number of tools available for purchase through The Ultimate Estate Planner that can assist you and your clients in the estate and income tax planning process.